Want to be part of the UK’s largest non-profit finance community? By joining CFG, you’ll improve your peer network and gain corporate contacts. Not only that, you can save money on training and recruitment and access our wealth of events and resources. If you’re a charity, social enterprise, academy school or other non-profit, you can join CFG as an organisation, with membership benefits extending to as many individuals as you want, whether they’re staff, trustees or volunteers involved with your charity. Becoming a member is an effective way of engaging with current policy and debate about charity finance, meeting other finance professionals in your area, and accessing conferences and training to support your personal and professional development. The key member benefits for charities are listed below – visit our Join Now page to become a member today. Our extensive programme of events provides members with the opportunity to expand their knowledge, explore issues and stay abreast of topical issues. Not only that, as a member your non-profit benefits from reduced rates for all events, conferences and training courses, helping to reduce your spend on development and training. 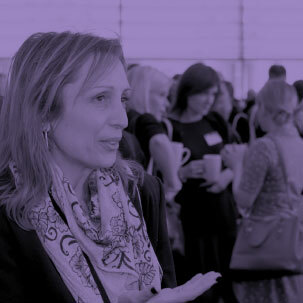 We have unrivalled access to a wide range of expert speakers through our corporate members, as well as many high-profile charity professionals, bringing a wealth of experience and practical knowledge. CFG conferences form the basis of our events programme, with the popular Annual Conference bringing together leaders of the UK charity sector in the must-attend charity finance event of the year. Other conferences include Risk, IT, Northern, Investment, Tax, Midlands and South West & Wales. 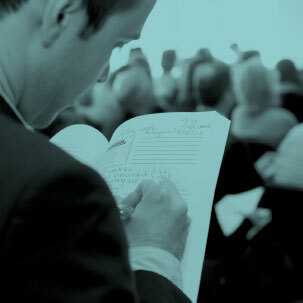 Our training days and seminars cover a variety of topics including: the fundamentals of charity finance, charities and trading, investment, performance reporting, SORP, and many more. We hold 14 free Members' Meetings a year in England & Wales, which offer a great way to make connections and learn from peers. These cover issues from VAT, tax, investment, risk and IT through to legal matters and HR. If there are two words that finance professionals like to hear, they are ‘save money’! Become a member of CFG and reduce your charity’s spend on skills development and training. We offer our members a range of early-bird and discounted rates on ticket prices for all CFG events, training courses and conferences. We know that recruitment costs can be expensive, so we have developed an exciting partnership with Third Sector Jobs to help you save money when you’re looking to take on new staff. Our members enjoy hugely discounted rates on advertising charity finance jobs on our Third Sector Jobs Board – saving up to £1,535 or 72% - on the usual rate card, allowing you to reclaim the cost of your membership in just one job ad. Not only will you save money, you can also be sure that your ads will be seen by the best candidates. Our weekly jobs bulletin goes out to 2,200 people with impressive open rates of 26%; and the Third Sector Jobs board is currently viewed by 110,000 users each month. In addition, finance-related trustee, treasurer and volunteer roles can also be advertised completely free of charge, saving a further £495. Join CFG and become part of the country’s largest community of finance professionals in the charity sector. This is one aspect of membership that many people value the most as it gives them regular opportunities to share experiences and learn from others in similar positions. Our network of corporate members completes our wider community, enabling you to engage with a variety of companies who provide services to charities in a non-sales environment. Our meetings and events allow you to build corporate contacts and better supplier relationships. Members in England and Wales can attend a programme of regular free Member's Meetings covering topics including VAT, tax, investment, leadership, IT and law. We allow plenty of time for networking during a lunch or drinks reception. Our Special Interest Groups (SIGs) are designed for members with an interest in specialist areas, including community accounting, grantmaking organisations, overseas charities and large charities, to meet at dedicated events and discuss the issues they’re facing with peers. You’ll find a range of other ways to be part of our community, including a members’ only LinkedIn group and our online find-a-member service to link you up with other members. We work hard to provide our charity members with a range of resources that come from industry professionals, helping to ensure their knowledge is up-to-date. Our members-only online document library contains over 400 documents from leading sector experts on current and emerging issues relating to accounting, reporting, financial control, risk management, tax, management and leadership, governance and much more. As a member you will also receive Finance Focus, our monthly magazine with expert briefings, sector news and features on topical issues. Copies of the CFG Annual Handbook are sent to members each year. This is a useful reference guide containing think pieces on key issues and practical resources. Members also receive copies of Charity Times Magazine. Areas they can help members: Mounting debts; Less cash flow; Rising income gaps; Worries that you cannot keep doing more with less. Areas they can help members: Disputes with builders; Repair disputes; Landlord and tenant disputes; Project management; Dilapidations; planning issues; Property maintenance; and Property strategy. Treasury: a CFG-run helpline which is also open to non-members, providing free support for charities which need help with treasury or cash management issues. The Treasury helpline provides free support for charities which need help with treasury or cash management issues.Many charities are reducing the resources available to them by not managing their cash properly or getting the most out of foreign exchange transactions. However most charities lack the capacity to have a dedicated treasury or cash management function in their own charity. This helpline enables knowledge-sharing between charities that have experienced treasurers and those without capacity. CFG's policy team is engaged with government, regulators and think tanks, challenging existing regulation and policy that is unhelpful to the sector and responding to consultations on emerging policy. We are dedicated to keeping our members informed of legislative change and policy initiatives as they arise and to helping charities access a range of support resources on key issues like pensions and economic briefings. Our members also have the opportunity to contribute to policy consultations and respond to surveys to ensure that your voices are heard on the issues that matter. You will be invited to take part in our members-only forums, which include a Banking Forum, Pensions Forum and a Technical Accounting Forum. These provide a great way for members to discuss key issues in relation to the topic, and also help us to understand any problems and challenges facing our members - we can then represent these views to government and policy makers. Whether you’re looking to find a new role within the charity finance sector, or are recruiting to fill a role at your organisation, our partnership with Third Sector gives CFG members a head start. We know that career progression is important to our members, and our partnership with Third Sector Jobs gives you access to the latest charity finance roles on the Third Sector Jobs Board. If you’re a member you will also be sent our exclusive weekly email roundup of charity finance jobs so that you never miss out on the latest opportunities being advertised within some of the UK’s most inspiring charities. For those who are looking to recruit, our partnership offers a platform to advertise your charity finance vacancies on Third Sector Jobs, with CFG members benefitting from a huge saving of up to £1,500 on recruitment costs.